Mehmet Hadimi Yakupoğlu, Republican People’s Party (CHP) representative in the Supreme Electoral Council (YSK), said that favourable conditions for the ruling party are brought into play just ahead of every election. Yakupoğlu pointed out that policemen were dispatched to critical locations by the Ministry of Interior before 2018, and military personnel despatched by the Ministry of National Defence. Yakupoğlu, a lawyer, has been CHP’s representative of YSK since 2011 and has observed eight elections since then. He claims that these problems increase ahead of every election. In addition to other election ploys, such as false voters and repeat voters, deploying voters to areas where they are not registered has become the current major issue. Although policemen were deployed to critical locations by the Ministry of Interior, then military personnel deployed to some districts and cities by the Ministry of National Défense, Yakupoğlu lamented that there was “nothing that could be done ‘legally’” for the despatch of these voters. Yakupoğlu, the CHP’s representative in YSK, spoke about the new developments in YSK related to the upcoming local election, which is scheduled to be held on March 31, 2019. “The inventory of voter lists are not yet complete. Electors cannot cast their ballot out of their electoral district, even if they are on duty, and therefore many police and military personnel had been deployed to critical locations previously. Legally, our hands are tied. 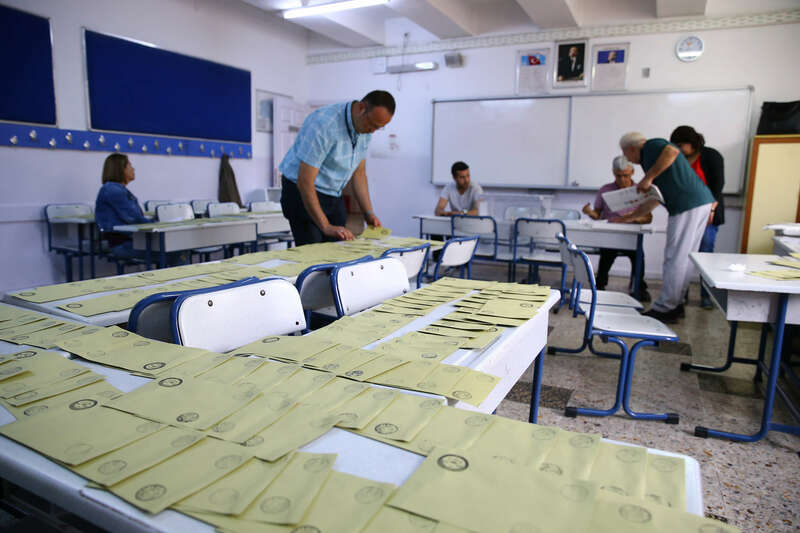 Amassed and shifted electors will cast their ballots, but detained and convicted voters for negligent crimes cannot cast their ballot, except in their own electoral district,” added Yakupoğlu. “There has been a new ‘incomprehensive propaganda law’ added, which restricts the right to balloting and has been accepted by 8/3 majority vote. The accepted law has not been implemented anywhere until now. There has also been a ‘new law’ added, which lifts the ‘YSK’s supervision right’ over the private TV channels, therefore, my observation is that, every election has a more unfavourable condition than the previous one. There is no problem in lists of balloting boxes and lists of electors, but the problem is for an elector questioning the balloting box with baseless motivations and persevering to find a solution without balloting. It should not be forgotten, in order to dispose of the strongest voting for the second most powerful is a principle of the science of Mathematics,” said Yakupoğlu.